BigClasses a reputed online IT training industry is providing highly demanded IT courses – Anywhere at anytime! BigClasses is providing SAP SuccessFactors Online Training by Kumar (15+ years experience). The training will be imparted with real-time scenarios by the trainer. You will learn recruiting management, learning management system, talent management, HR Analytics, and more. 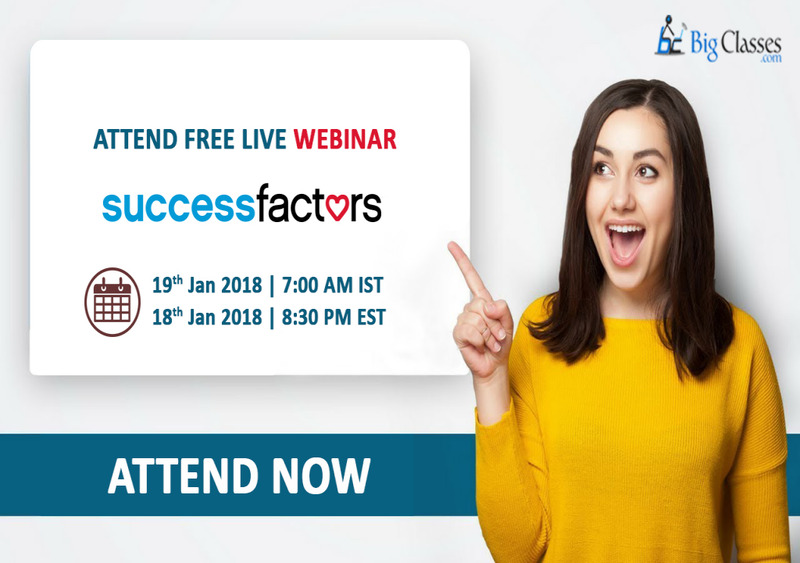 Join our SAP SuccessFactors Online Training Course provided with high quality and updated course materials.